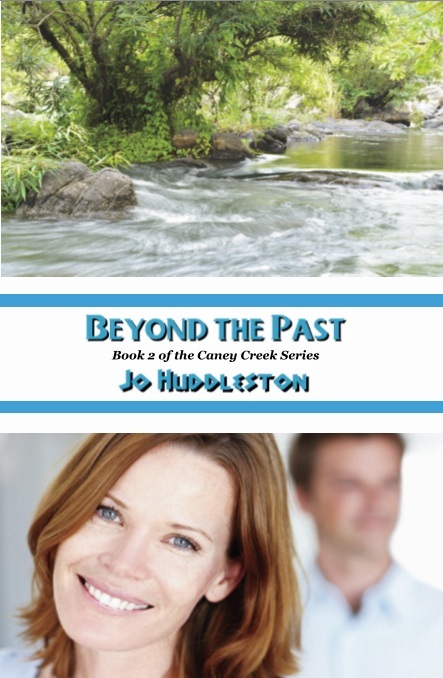 I want you to get to know some of the characters of my novel Beyond the Past, Book 2 in the Caney Creek Series. For the next few Mondays I’ll interview one of the characters and you can leave comments if you want. I think this might help you when you read my novel to know how these characters feel as they move through the story. If you leave a comment on this blog that is totally related to the interview I'll give you an extra entry in the next Thursday book drawing. JO: Are you Emmajean Callaway, the girl who left home after high school graduation? JO: Why did you leave so quickly? EMMAJEAN: You don’t know how it was for me growing up. I wanted to leave that behind. JO: How was it growing up? EMMAJEAN: Well, I lived in the country in a small house for the size our family was. I’ve got three brothers and one sister and all of us slept in one bedroom with two beds. The three boys slept in one of them and me and my sister slept in the other bed. In the summer it was so hot at night I didn’t get much sleep and in the winter the house was cold at night but my big sister wrapped her arms around me so I stayed warm, except for my head. JO: What about your parents? EMMAJEAN: Momma and Poppa used the other bedroom. My momma loved me so much and I loved her. She’d let me help her churn the milk to make butter. JO: What about your daddy? EMMAJEAN: Well, about when I started to school my poppa turned real mean. He treated the boys awful bad and our sister and me we were afraid of him. He made the boys help him on the farm he rented. We didn’t own the land or the house or barn. We almost never had any money. On Saturdays Momma and Poppa would go into town and sell eggs and vegetables on the courthouse square in Newton. They made us stay at home. My oldest brother, Jim, had to look after the rest of us while they were gone. JO: So you left the farm. How did you leave if you didn’t have any money? EMMAJEAN: During high school I worked some little part-time jobs in town and I saved just about all of what money they paid me. So when I graduated I bought a bus ticket and went to Atlanta. JO: Why did you go to Atlanta? EMMAJEAN: Well, some of my school teachers told me I could draw really good. I was always drawing things when I guess I should have been reading my lessons. So when the teachers bragged on my drawings I thought I’d go to Atlanta. You see, Atlanta had a lot of companies in the fashion industry and I thought I’d go down there and get a job drawing dresses and things for them. But I was crazy to think I could just walk in a place as big as Atlanta and get any job I wanted. JO: Did you get a job? EMMAJEAN: Yeah, I got a job but it wasn’t like I thought it would be. I worked at one of the fashion places but I didn’t get to draw. I was just an errand girl for everybody. I didn’t make much money, either. So to help me pay my rent I got a job as a waitress. That paid me more and I got tips besides. JO: So then everything went okay from then? EMMAJEAN: Well, no they didn’t. This girl and me rented an apartment together. Then at the diner where I worked this guy got real friendly with me and asked me out on a date. EMMAJEAN: I thought so too. But he asked me to do some things for him and I did. He sure did pay me a lot of money for just carrying a little paper bag to cars at a drive-in. I had more money than I’d ever seen at home on the farm. JO: So you’re living in Atlanta where you wanted to be and had a second job. You had some money. Sounds like everything was going great for you. EMMAJEAN: It did for a while. EMMAJEAN: This friend from the diner I was doing things for didn’t really watch out for me and got me in a heap of trouble. By the way, that’s me on the cover of Beyond the Past! You'll have to read the book to find out who the man behind me is. The winner of last Thursday's blog post for a copy of Crack in the Ice by Deanna Klingel is eyeballlucy. I'll email you to get your mailing address and get the book out to you. Thanks all for commenting. Watch for more book giveaways. EmmaJean, I will be reading Beyond the Past soon, so I will find out who the man is behind you!